Dad’s covered this really well and it has sorta become one of his catch phrases when it comes to Aviation but it quite literally is the truth. 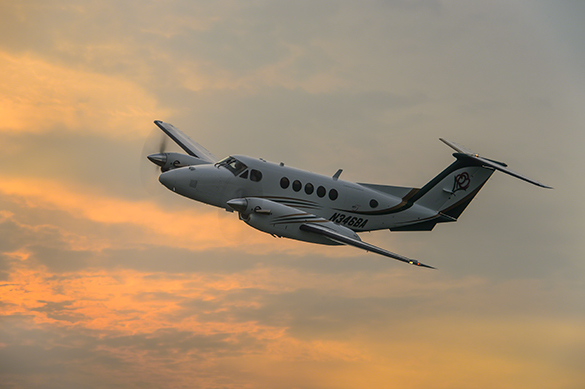 The two of us and our good friend Warren were talking on the ramp outside of the maintenance hangar at Minot when this Super King Air B200 taxied up. He said, “I know him I’ll introduce you.” Ten minutes later the pilot was scheduled to be at our briefing at 20:00hours. 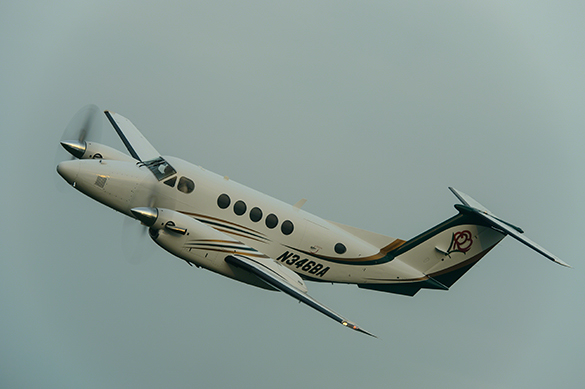 Langer owns this beautiful Super King Air B200 that just got a fresh paint job. That night the smoke layer was thick from a fire that everyone was saying was up in Canada. It didn’t do us much good for the photography except when we put the plane down lower so that the earth was in the background and for this one spot where there was enough breakup in the clouds to add some color. It was a pretty amazing flight, especially since our photo platform was a Cessna 182CJ. It all happened because we were just there.